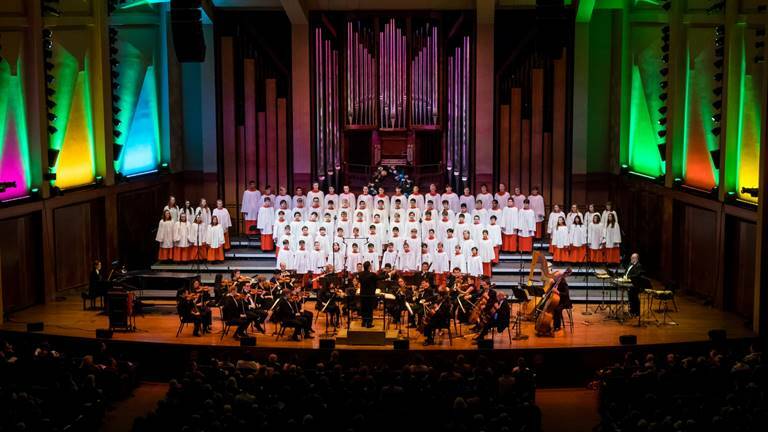 The Northwest Boychoir celebrates its 40-year tradition of the presentation of its A Festival of Lessons and Carols concert series featuring eight regional performances in December. These holiday concerts showcase the 90-member combined chorus of the Northwest Boychoir and Vocalpoint! Seattle. Patterned after the Christmas Eve observance at King’s College in Cambridge, England, A Festival of Lessons and Carols is a holiday tradition for thousands of families in the Puget Sound region. This classical performance consists of nine holiday readings, each followed by a traditional carol performed by the choir, and another carol sung by the choir and audience. Reserved Seating. Advanced tickets encouraged as many venues sell-out. Tickets are $11-$35, including discounts for seniors and students.